Raw almonds are delicious for example in cakes or pastry or as snack between meals. Almonds contain many vitamins, for example A, B1, B2, B6, and E, oils supporting digestion and more calcium, magnesium and potassium than nuts. The almond tree belongs to the rose family and originates from South-east Asia, but today it is mainly cultivated in the USA, the Mediterranean, Pakistan and Iran. We distinguish between the bitter almond, which is not suitable for consumption in lager quantities because it contains the poisonous amygdalin, and the sweet almond. 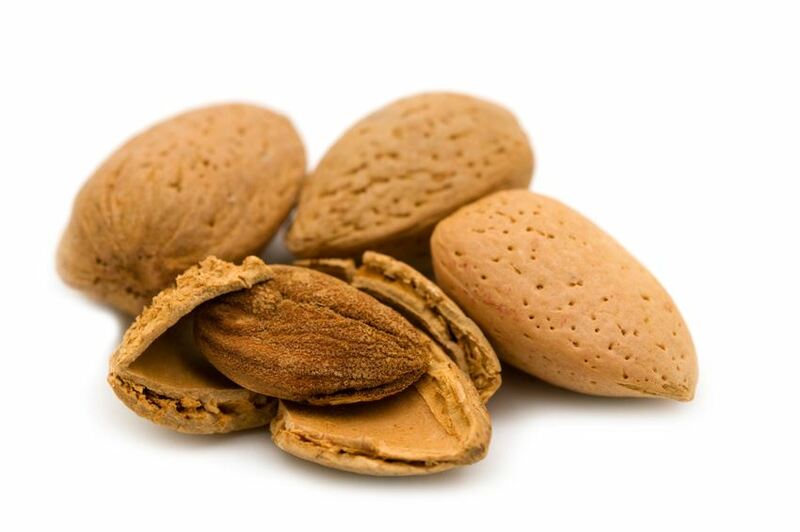 The soft, white seedling generally referred to as almond is covered by a thin brown skin and is found in the stone core of the fruit of the almond tree. The fruit burst when mature and reveals one to two of the hard, shell-like cores.